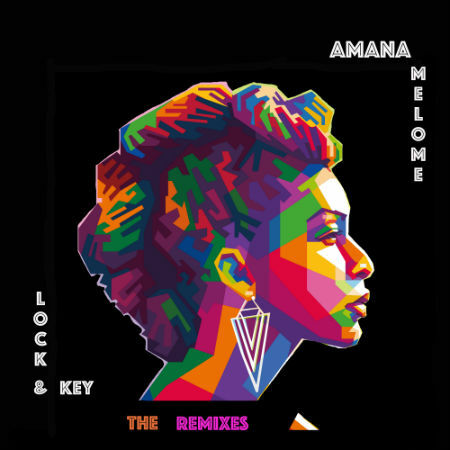 Soulful jazz-pop songstress, Amana Melomé is proud to announce the release of “Lock & Key: The Remixes”. Hot on the heels of her 2015 EP “Lock and Key”, this remix EP sees the magic touch of producers Mark de Clive-Lowe, Opolopo, Daz- I-Kue (Bugz In The Attic), Filip, Slimbo and Firefly, who got their hands on Amana‘s sultry vocals and put their own signature spins on them. The original “Lock and Key” album was produced by grammy award nominated Adam Berg and Itai Shapira, known for their work with artists such as Aloe Blacc, Alice Russel and Rhye, to name a few. It showcased Melomé’s passion for all types of music, however the Euro-Caribbean-American artist’s roots are in jazz, having had her grandfather Jimmy Woode record with such greats as Duke Ellington and Ella Fitzgerald. The singer-songwriter prides herself on her soulful vocals and funky beats that celebrate the beauty of individuality and being true to yourself. On the remixes EP the tracks of the original album get reimagined for the forward thinking soulful dancefloor. Mark de Clive Lowe’s soulful house remix of titletrack “Lock and Key” recently debuted on SoulBounce, and Essence.com featured Opolopo‘s remix of “Icarus” in their ‘New and Next’ column spotlights. From broken beat to house, from breaks to afrobeat and beyond, this EP is sure to find its way onto every party playlist!